Check out my latest post over on Lunch et cetera! If you didn’t know, that’s where I live/blog nowadays, so don’t forget to click follow on Lunch et cetera! I’ll slowly be moving all the recipes from Baking Progress over to the new blog, so none of the recipes will be lost. So thanks for all the support, and I’ll see you at Lunch, et cetera! Macarons have been driving me crazy for a while now. So many attempts, so much failure. This weekend I caved and bought a macaroon mat, and it has actually solved all my problems! 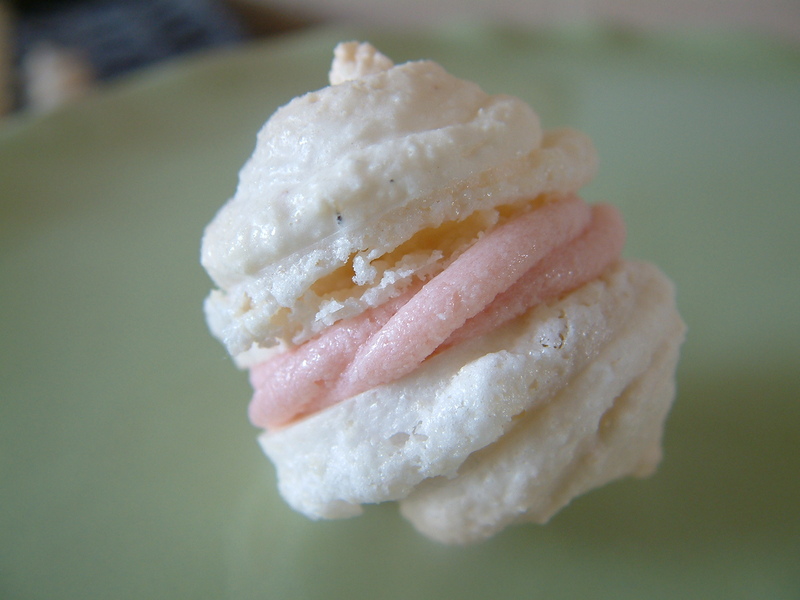 I used Dan Lepard’s macaron recipe and improvised on the marshmallow filling. If you don’t have a macaroon mat then (a) you’re a better baker than me and (b) draw 3cm circles on some greaseproof paper then grease in and pop it on a baking tray. 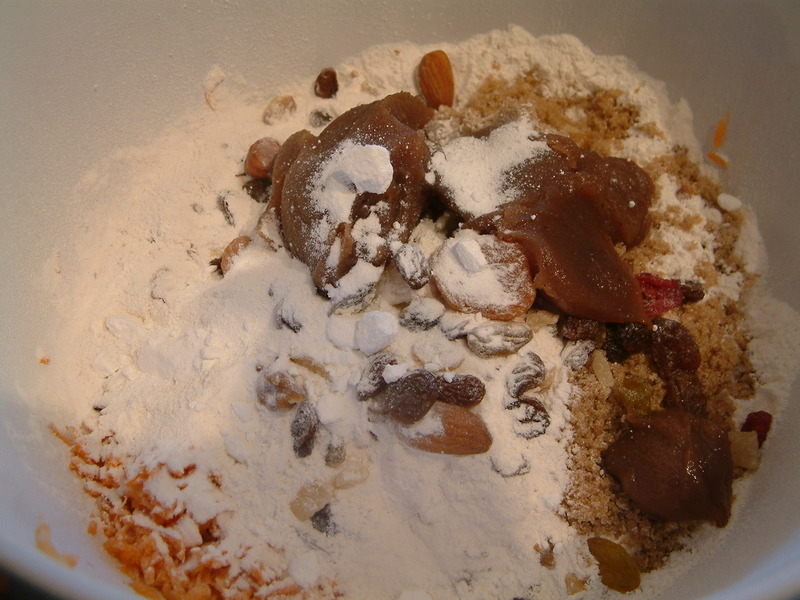 Mix together the ground almonds and icing sugar in a large mixing bowl. In a separate bowl, whisk the egg white until it’s frothy, the gradually add the caster sugar a spoonful at a time, constantly mixing until it’s thicky and glossy. 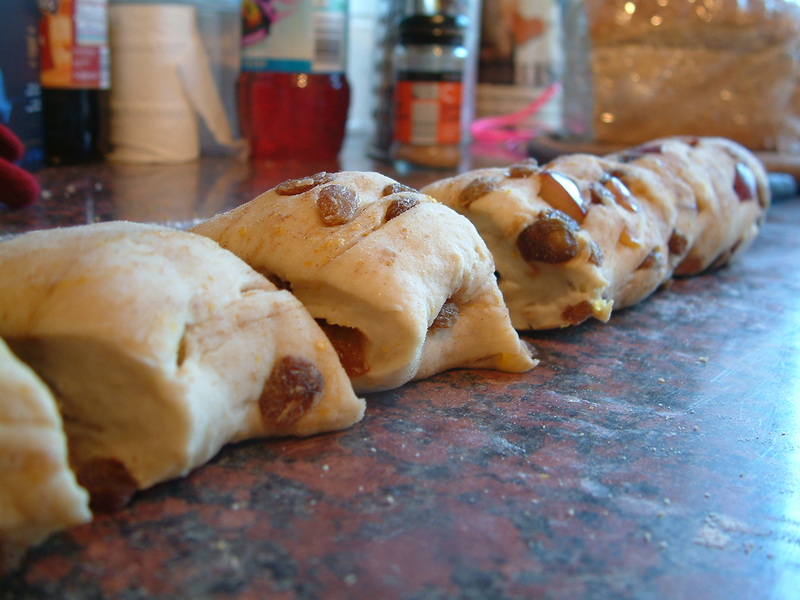 Fold in the almond and icing sugar mixture. 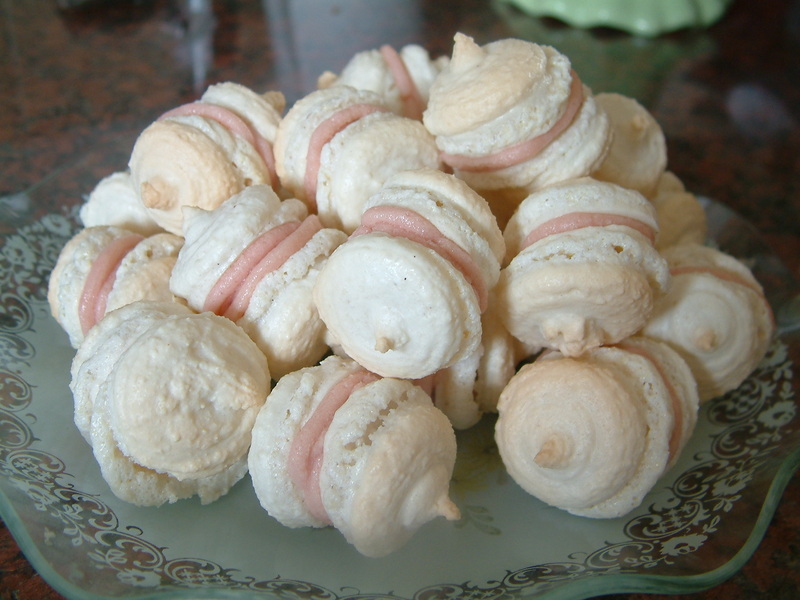 Spoon the mixture into a piping bag and pipe the mixture into the circle on your greaseproof paper/macaroon mat. Tap it onto the worktop to get rid of the air (I don’t think I did this enough, my macarons expanded a bit in the oven). 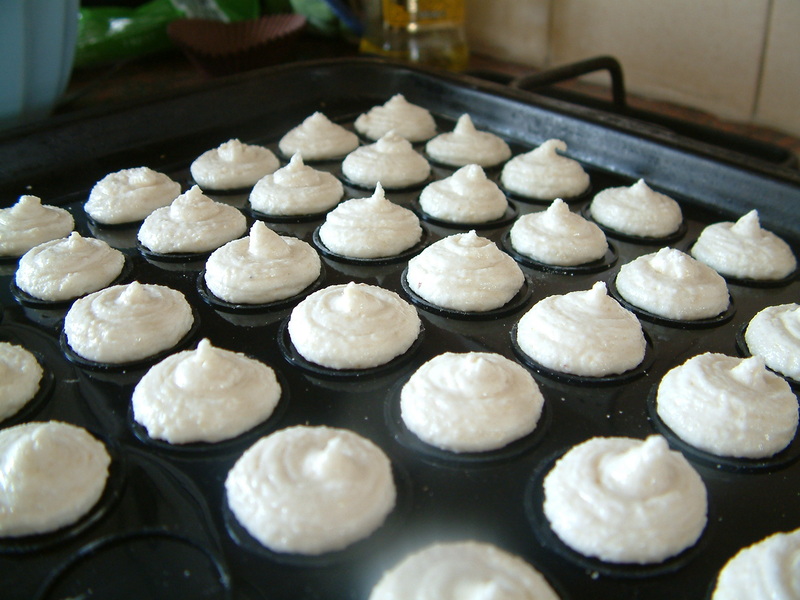 Leave the tray on the worktop for an hour or so until the macarons develop a hard coating. Preheat the oven to 160C (140 fan). When it’s ready put the macarons in for 10-12 mins but keep a close eye on them – take them out when they start to go brown. Leave them on the side to cool, and in the meantime make the filling. Add the milk and marshmallows to a pan and put it over a low heat, stirring well until it’s all mixed together. 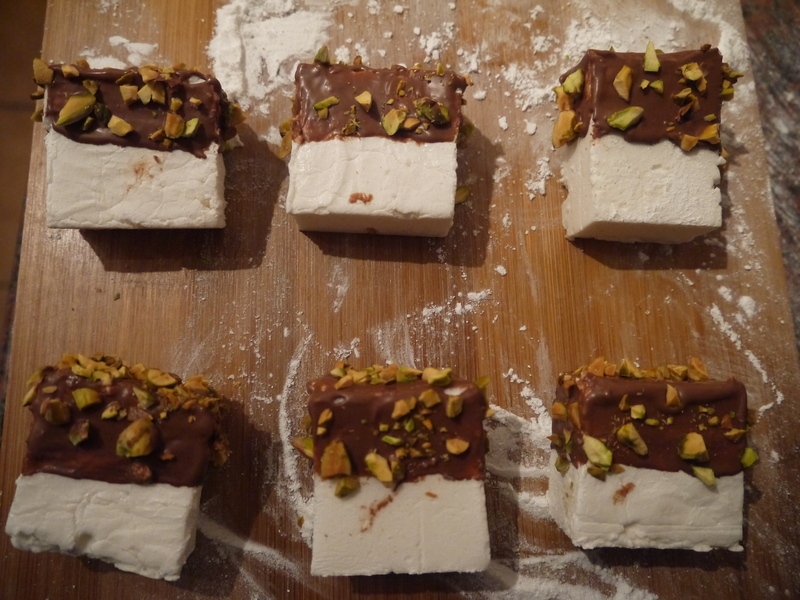 When the marshmallows have melted, take it off the heat and leave the mixture to cool. Cream the butter and when the marshmallow mxture has cooled, add it to the butter and mix well. If you want a more pink colouring, add a little red food colouring. 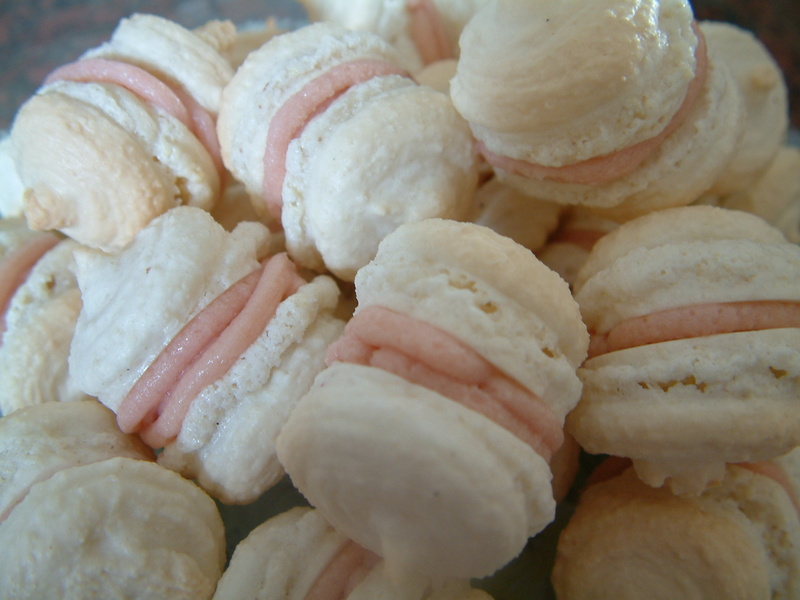 Put the mixture in a piping bag and pipe it into the centre of the macarons. It’s so simple, but they really have been making me crazy for such a long time! The worst bit is the thousandth attempt when you’ve finally got them about right, and you just cannot get them off the greasproof paper. So, again, you end up scraping it all off and making yet another ‘eton mess’. According to all online recipes it is possible to remove macarons from greaseproof paper, but apparently I don’t possess the gene for that, so if you’re like me then you’re going to need to invest in a mat. Mine was £9. Worth it though, to finally be victorious in my macaron war! Happy Easter! 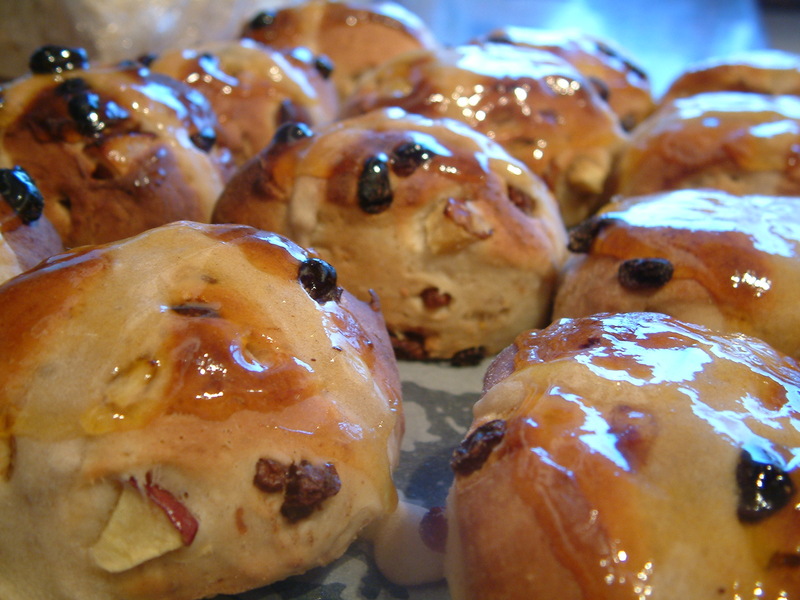 It would be sacreligious at this time of year not to make hot cross buns. Even if it is snowing outside. Actually, the spicy smell and rich, doughy taste of a freshly baked hot cross bun are even more welcome when you’re watching the snow drift past the window. They’re really more of a winter food than a spring food. 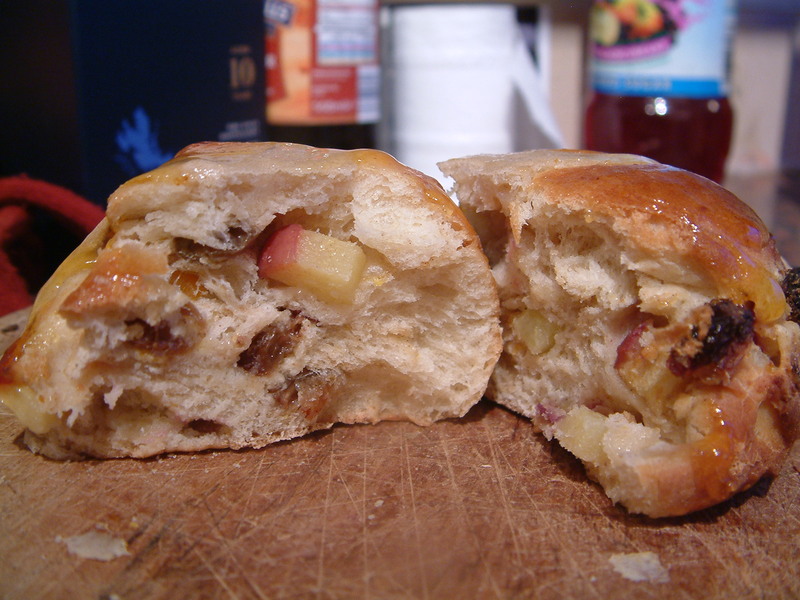 I used Paul Hollywoods recipe, which uses mixed fruit, orange zest and apples. I’ve never had hot cross buns with apple before but they really added a touch of moisture and sweetness, making them extra-special. Bring the milk to the boil then remove it from the heat and add the butter, stirring it in so that it melts. In a large mixing bowl mix the strong white flour, salt, sugar and yeast (making sure you put the yeast and salt on opposite sides of the mixing bowl). Make a well in the middle, and pour in the milk and butter mixture. Pour in the egg on top. Mix it all together with a wooden spoon then, when it’s a bit firmer, with your hand. Be sure to pick up all the flour around the sides of the bowl. Tip onto a lightly floured surface and knead for around 5 minutes until it feels stretchy, smooth and warm. Lightly oil the sides of the mixing bowl and put the dough back into it. Smooth a little oil over some cling film and use it to cover the bowl. then leave it in a warm place for an hour or until doubled in size. 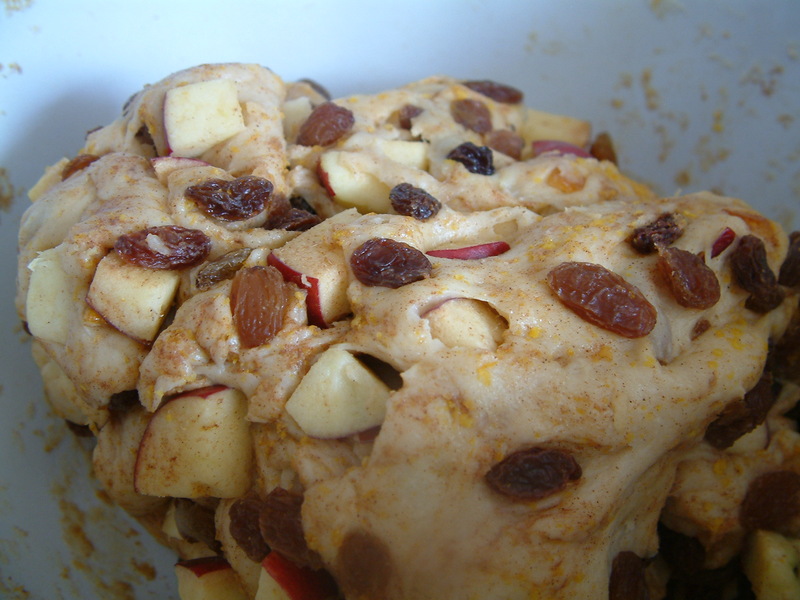 Once it’s double, remove the cling film and tip all the dried fruit, zest, apple and cinnamon into the mixing bowl and work it evenly into the dough. Re-cover with the cling film and leave it for another hour to rise. Tip the dough out onto a lightly floured surface and roll it into a long sausage shape. Cut it in half, and cut each half into 6 separate pieces. 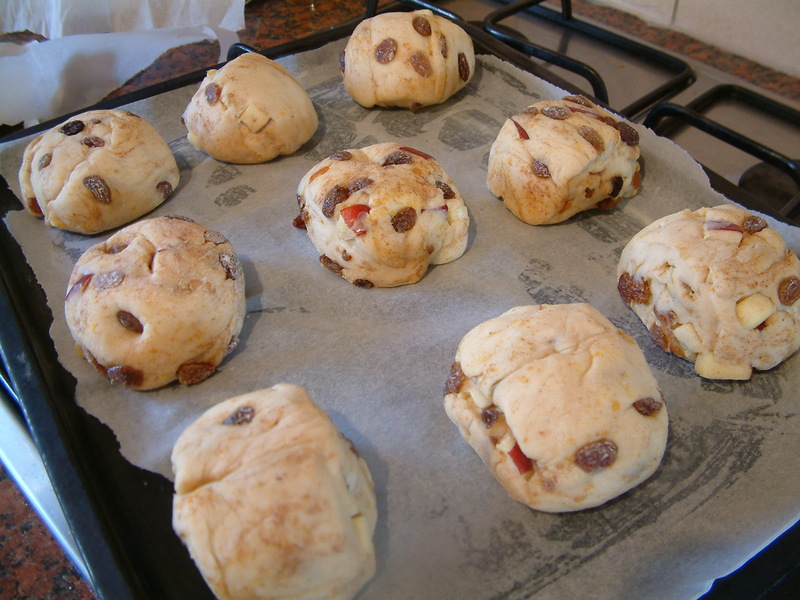 Mould the pieces into roughly round buns, and place onto a greased baking sheet. Cover loosely with the greased cling film (it shouldn’t be airtight) and leave in a warm place for another hour or until they’re well risen. Preheat the oven to 220C (200C fan). Mix the plain flour with water – just add it tablespoon by tablespoon until you have a thick mixture which holds it’s shape but is suitable for piping. Pipe crosses onto the buns – just pipe in a continuous line across the tray over each row of buns, and again for each row, then do the same in the opposite direction. Bake the buns for around 20 minutes, until golden brown. About 5 minutes before taking them out, put the apricot jam in a pan and bring to the boil. Sieve it to remove any lumps. When you take the buns out, immediately brush them with the apricot jam then leave to cool. They’re such a lovely treat for Easter. I hate, I mean really hate, store-bought hot cross buns, they’re so dry and tasteless. 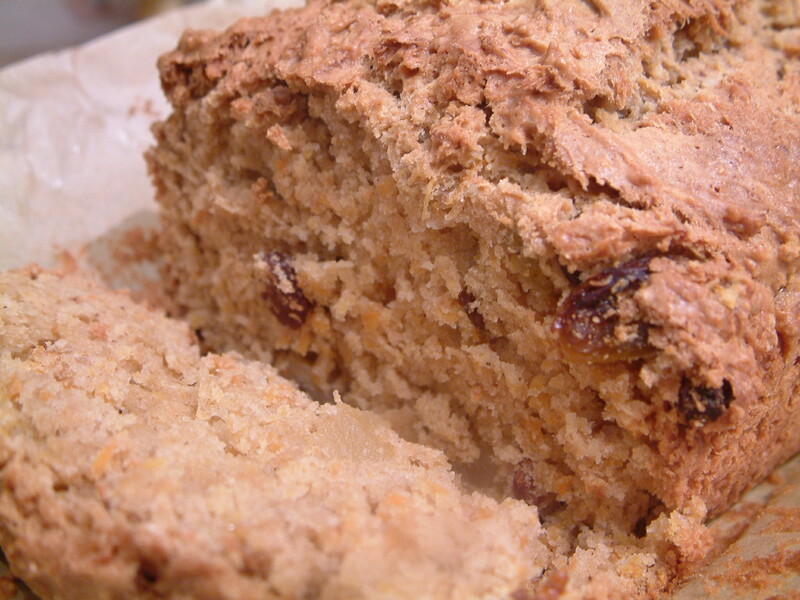 But home-made buns are so delicious and comforting, and they make the house smell really amazing! They’re just all-rounders really. I got a bit over-excited in a deli and bought some chestnut spread. Since then I’ve been racking my brains about what on earth to do with it. I used half of it for frozen yoghurt, but honestly? It wasn’t good. So I really didn’t want to waste the other half. 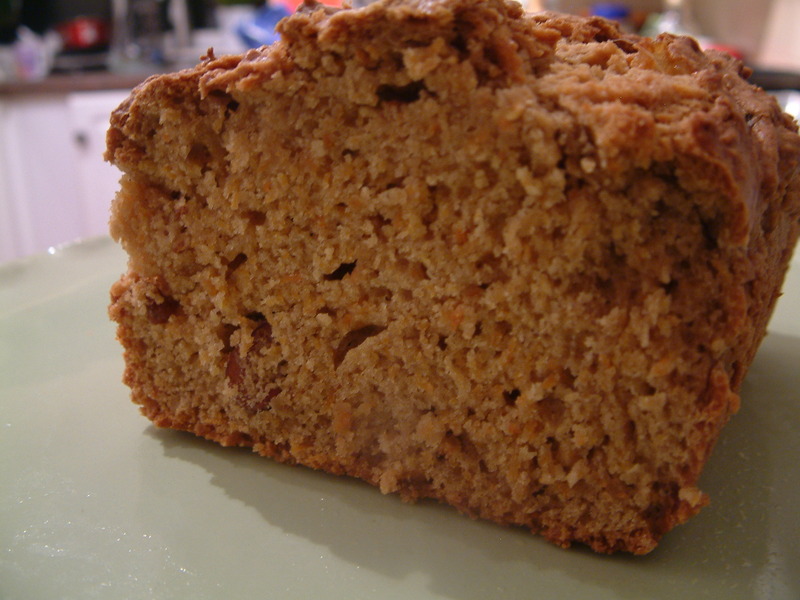 It was a bit risky, getting inventive with whatever I could find in the cupboard at the time, but I think it paid off, and the chestnut spread gave the cake a lovely moist, slightly richer taste without making it too sweet. A success! Preheat the oven to 180°C. Grease and line a standard loaf tin. Put all the ingredients into a large mixing bowl. 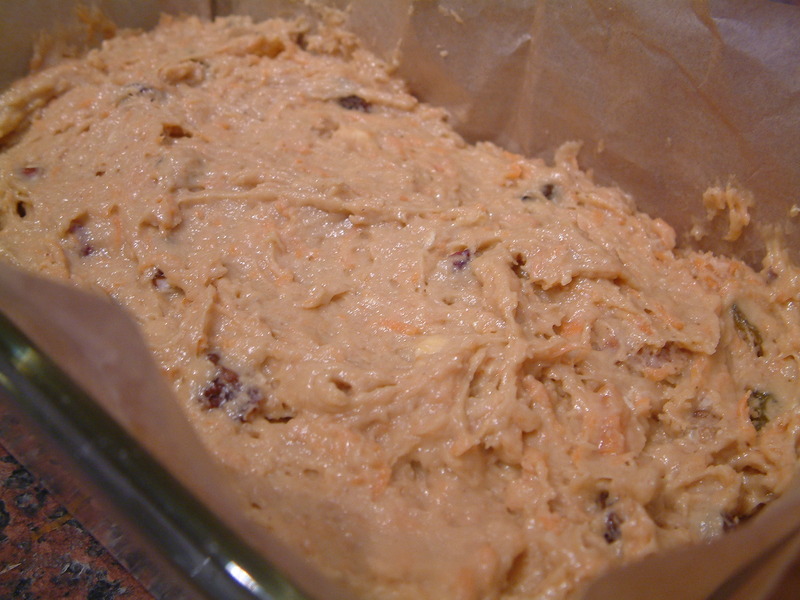 Mix it all up really, really well until you have a lovely smooth batter, then pour it into the loaf tin. Bake in the oven for 40-50 minutes, until it’s golden brown or a skewer comes out of the cake clean. And that’s it! Incredibly simple. If you don’t have chestnut spread, maybe put in a teaspoon of cinnamon, a teaspoon of ginger, and an extra 30g of butter in instead.